We’re focused on prevention so you can focus on care. 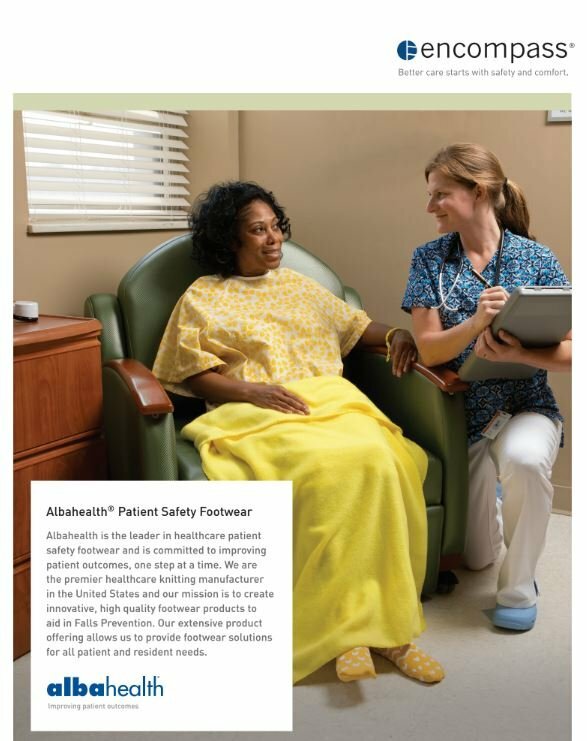 Healthcare facilities nationwide are implementing fall prevention programs utilizing patient safety footwear as a cornerstone in their protocol. As an essential element, the footwear’s quality and fit are as important as the program utilizing it. Encompass is the #1 leader in healthcare slip-resistant and patient safety footwear and is committed to improving patient outcomes, one step at a time. 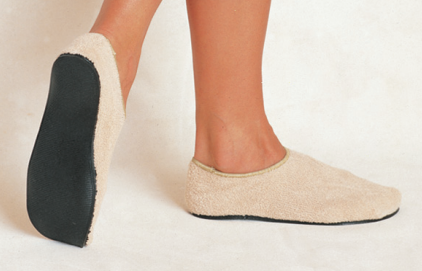 We have the widest product offering which allows us to provide footwear solutions for all patient and resident needs. 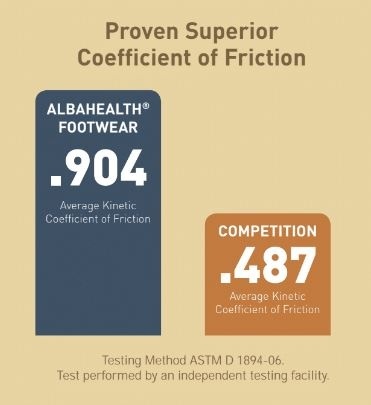 Learn more about selecting the proper Fall Risk footwear for your facility. Download our PDF. "Patient falls are among the most common occurrences reported in hospitals and are a leading cause of death in people ages 65 or older"
Proper fall prevention protocol and products are at the forefront of hospital care based on recommendations by industry leaders such as The Joint Commission and CMS. 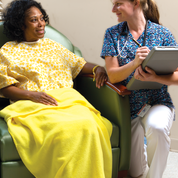 Our product offering provides solutions for patient identification and preventive measures and can easily be implemented into fall prevention programs customized for your facility. Vibrant colors, larger tread surface and superior coefficient of friction ensure your patients and residents at risk of falls are easily identified and safer every step of their stay. 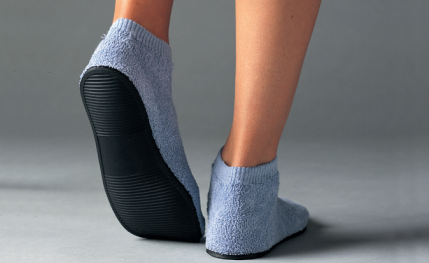 The Flexible Sole footwear line features superior protection against falls with slip-resistant soles while focused on patient comfort. 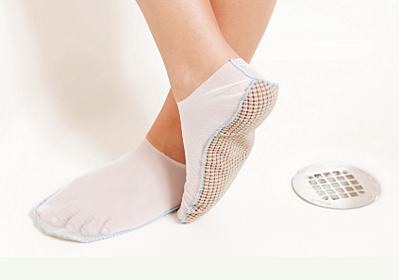 The Shower-Steps™ are designed for use on wet surfaces and allow air to pass through to speed drying. 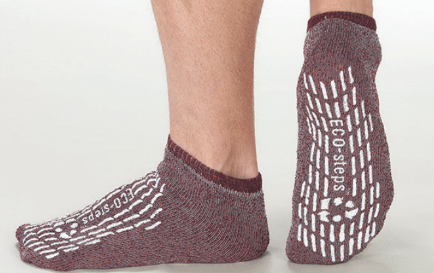 Safe-T Treads® feature a full foot silhouette made of plastisol tread available in classic and risk management styles. Properly identifying patients at risk for falls is a top priority in hospitals today. 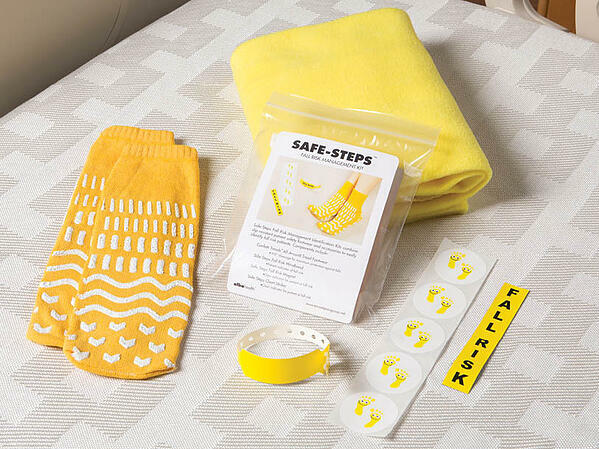 Safe-Steps Fall Risk Management Kits by Encompass assist with these day to day challenges by offering easily identifiable kits essential for any Falls Prevention Program. Safe-Steps™ Fall Risk Management Kits provide the key components needed to properly and easily identify patients at risk for falls. 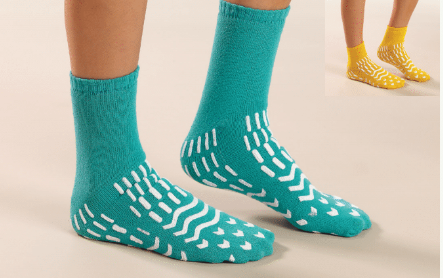 Each kit is color coordinated and all components are available for individual purchase. Kits are available in premium and classic styles comprised of high-visibility elements to ensure clear visual reminders for staff and visitors. 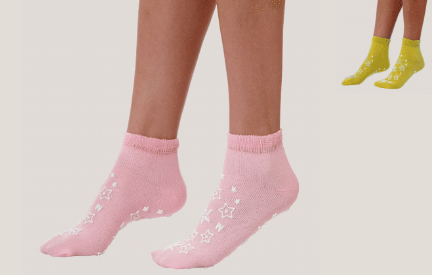 CONFETTI TREADS™ PATIENT SAFETY FOOTWEAR features top of the line slip-resistance and 360° protection with a unique all-around tread profile available in three vibrant colors. Kit components are available individually as well. Kit colors are High-risk Yellow, Red and Green. Contact us for information on Custom Kits, too! Properly identifying patients at risk for falls is a top priority in hospitals today. Yellow Falling Leaves Patient Gowns help visually identify at-risk patients while in their room or at a distance while ambulating. Are you ready to help reduce falls in your facility? Call at 1-800-284-4540 or click on the button below to get in touch.